For a 24-hour-a-day, seven-day-a-week water and waste water management operation, having a supervisory control and data acquisition (SCADA) system is a must. A SCADA system should make workers' jobs easier, but if it's not working properly, or it's unable to keep up as the enterprise expands and upgrades its processes, it becomes a hassle to deal with. Not long ago, employees at St. Lucie West Services District, located in Port St. Lucie, Florida, were experiencing the difficulties caused by an inefficient SCADA system. But one year after working with Integration Services, Inc., to implement a new solution that utilizes Ignition by Inductive Automation®, operations are running more smoothly than ever. So how did Ignition provide this water district with an affordable new SCADA solution that didn't force it to compromise on functionality and scalability? St. Lucie West Services District serves a population of approximately 20,000 people. The staff at St. Lucie West used its old SCADA system to manage, maintain, and monitor five different processes: a reverse-osmosis plant, a waste water treatment plant, a lift-station collection system, a stormwater control system, and a reuse distribution system. "We're not manned 24 hours a day here, so we rely heavily on SCADA to be our eyes and ears when we are away from the facility. It's a very key element here," said Dennis Pickle, district manager and utilities director of St. Lucie West Services District, in August 2013. The facility is manned for 16 hours a day, so for an eight-hour period each day, it is especially dependent on the SCADA system to function with limited errors and provide continuous services. Another challenge was that St. Lucie West had expanded and upgraded many of its processes over the past few years. As the facility grew, so did its SCADA needs. To encompass a larger amount of data, more tags needed to be added to the system, but the software company only offered upgrades in blocks of 5,000 tags. "One of our main reasons for changing the current SCADA system is to lift some of the limitations we currently have for growth," Pickle said at the time. "It would have cost us quite a bit of money to increase the number of tags." These concerns drove St. Lucie West to seek out a local integration company that could help research and implement a better solution to their growing problem. Brian Callahan, owner of Integration Services, Inc., was one of the leads on this massive undertaking. St. Lucie West came to Callahan looking for answers to their SCADA needs. "The district asked directly, 'Are there any other products out there that can fit our needs, take away some of our limitations, and provide flexibility for growth further down the road?'" Callahan said. Given that directive, Callahan put on his consulting hat and researched all the options that were available for such a large, demanding facility. As he looked for a product that was well-rounded enough to meet the needs of St. Lucie West, there was a clear choice that kept rising above all of the others. Ignition met the requirements for scalability and functionality, and it could co-exist with the water district's existing system, which would allow for a much more seamless transition. Also, Ignition's licensing came with unlimited tags, which would allow St. Lucie West to expand its SCADA system much more affordably. 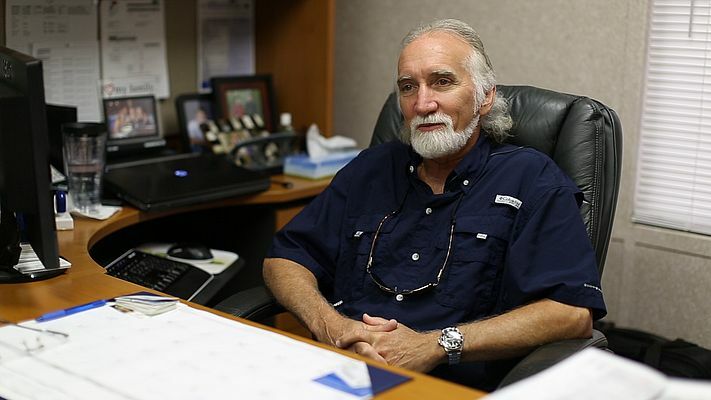 As Callahan and his crew began putting the new Ignition system in place in January of 2014, they worked diligently to make the transition as smooth as possible. They tackled each of the five processes individually until the entire plant was converted over to the new system. The bulk of this endeavor took about a year and a half. As the project progressed, it became even more clear to Callahan and Pickle that Ignition was definitely the right choice for the water district. Pickle and the staff at St. Lucie West are very happy with the system, and feel very confident that all of the processes are running smoothly while the facility is unmanned. Through its flexibility, reduced cost, and ease of use, Ignition has enabled St. Lucie West's staff to do their job without having to worry about system errors. "It's been a very flawless system," Pickle said in November 2014. "For water and sewer needs, you need something that's reliable that won't fail on you, and if you want to keep expanding and staying up with technology, you need a system that can support that. That's what we were looking at, something that could meet our needs now and in the future, and Inductive Automation met that."